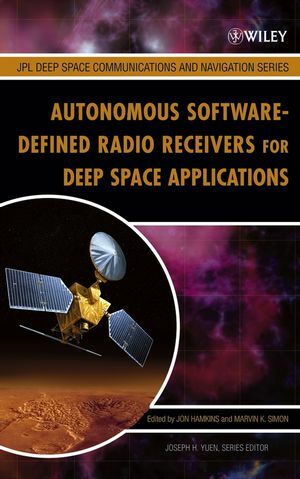 This book explores the low-noise microwave systems that form the front end of all DSN ground receiving stations. It explains why the front end of each antenna is key to establishing the sensitivity, polarization, frequency diversity, and capabilities of the receiving chain and, therefore, the entire ground station. The book uses precise definitions, measurements, and calibrations of system noise temperature for the calculations based on IEEE standards—an approach that is not generally used in industry and research—which facilitates clarity, understanding, and cross-referencing throughout the book. All noise contributions in the front end are detailed in their measurement and calibration, with an emphasis on achieving maximum accuracy and precision. Each step is analyzed with mathematical rigor, so that the logic trail can be followed throughout. Conversely, the author also provides the overall summary of measurements, error analyses, and statistical results. The book is complemented with copious photographs, diagrams, graphs, and tables; an extensive list of acronyms and abbreviations; cross-references; and an extended list of equations brought together compactly for easy reference. 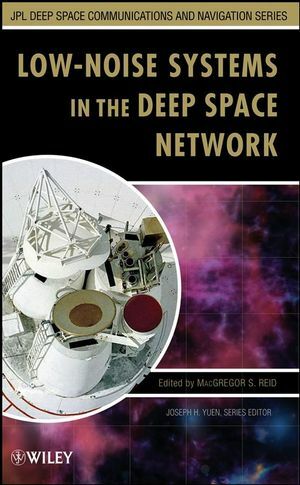 It is an invaluable resource for designers and operators of communications systems, radio- and radar-astronomy stations, space-research facilities, and interferometry observatories. It is also suitable for a range of scientists, engineers, and management personnel, and advanced undergraduate and graduate students in engineering and mathematics. MacGregor S. Reid, PhD, worked at the Jet Propulsion Laboratory (JPL) from 1969 until his retirement in 1998. For the last ten years of his career, he was technical executive assistant to the director. He served a three-year term as vice president of the American Institute of Aeronautics and Astronautics (AIAA), Washington, D.C. Dr. Reid was formation chairman of the International Organization for Standardization (ISO) Subcommittee on Space Systems and Operations for nine years, and he represented the United States on ISO's Committee on Aircraft and Space Operations for twelve years. He has served on many advisory committees, both nationally and internationally, and he is the author of more than eighty publications in the technical literature, three of which have won awards. In recognition of his international work, an asteroid was named after Dr. Reid in 1998 (6894 MacReid). He was awarded medals from AIAA and NASA, and six monetary awards from NASA for the invention of new technology. Chapter 1: Introduction (Macgregor S. Reid). Chapter 2: System Noise Concepts with DSN Applications (Charles T. Stelzried, Arthur J. Freiley, and Macgregor S. Reid). 2.7 Radiometers in the DSN. Chapter 3: Ruby Masers (Robert C. Clauss and James S. Shell). 3.3 Spin Resonance, the Applied Magnetic Field, Ruby Orientation, the Low-Temperature Requirement, and Excitation. 3.4 Spin-Lattice Relaxation Time, Inversion Ratios, Transition Probabilities, the Filling Factor, and Magnetic. 3.5 Ruby Maser Noise Temperatures. 3.6 Ruby Masers as Noise Temperature Standards. 3.7 Immunity from Radio Frequency Interference (RFI). 3.8 Early DSN Cavity Masers. 3.11 Ka-Band and the Return to Cavity. 3.12 Analysis of Maser Designs. Chapter 4: Cryogenic Refrigeration Systems (Robert C. Clauss). 4.2 Advantages of Using Cryogenic Cooling. Chapter 5: HEMT Low-Noise Amplifiers (J. Javier Bautista). 5.2 The Many Acronym-ed Device (MAD)--A Brief HEMT History. 5.4 HEMT Materials Evolution--From GaAs to InAs. 5.8 LNA Modeling and Characterization. Chapter 6: Atmosphere Attenuation and Noise Temperature at Microwave Frequencies (Shervin Shambayati). 6.3 Water Vapor Radiometer Data. Chapter 7: Antenna Calibration (David J. Rochblatt). 7.3 Conventional Approach to Aperture Efficiency and Pointing Measurements. 7.6 Cassini-Jupiter Microwave Observation Campaign (Cassini JMOC). 7.7 Operational Antenna Calibration & Measurement Equipment (ACME) for the DSN. Chapter 8: Microwave Antenna Holography (David J. Rochblatt). 8.3 Holography Receiver Signal Analysis. 8.4 Mathematical Formulation Data Processing.